Everyone here at The Eden Dora Trust for Children with Encephalitis would like to say a HUUGE well done and thankyou to James Socket for completing the London Marathon on our behalf today! 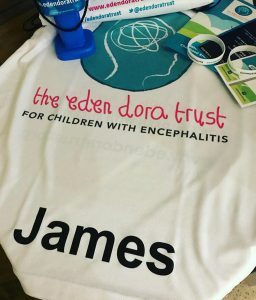 It was such a sweltering day yet he still managed to smash his target time, and raise an incredible amount of much needed funds for the Eden Dora Trust – James you are an absolute super star! !